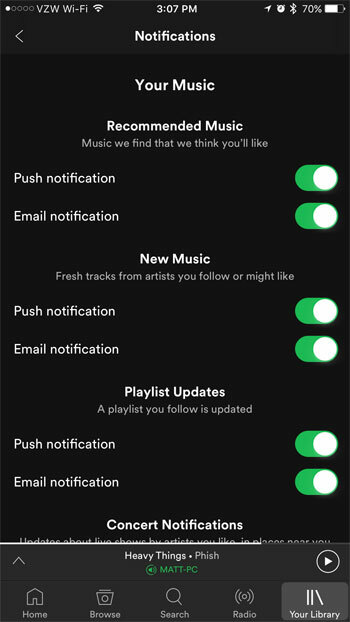 You may have noticed that you are getting a lot of different types of notifications from Spotify. These notifications can be classified into certain “types”, such as ones that alert you to nearby concerts, or ones that update you about artists that you may be interested in. 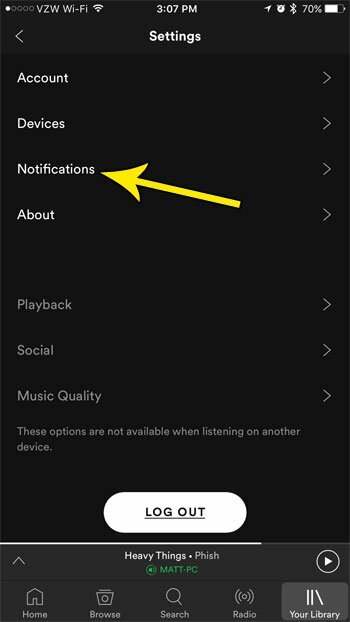 But if you find that you are already getting too many notifications, and that you don’t often act upon the ones that Spotify sends, you may want to turn some of them off. 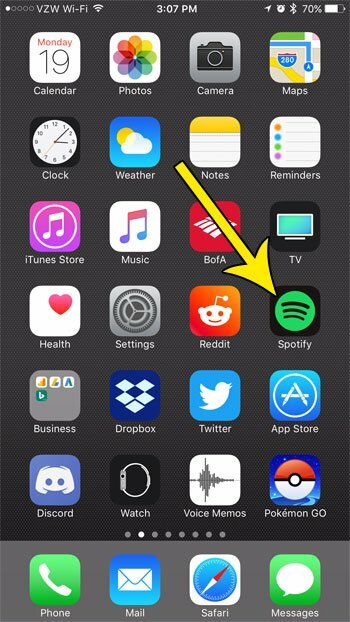 Our tutorial below will show you where to find the settings for the Spotify notifications through your iPhone app so that you can customize them to fit your preferences. The steps in this article were performed on an iPhone 7 Plus in iOS 10.3.3. The version of the Spotify app that is being used is the most current version available at the time this article was written. Step 4: Select the Notifications option. Step 5: Tap the button to the right of each notification setting that you would like to enable or disable. If there is green shading around the button, that notification option is enabled. 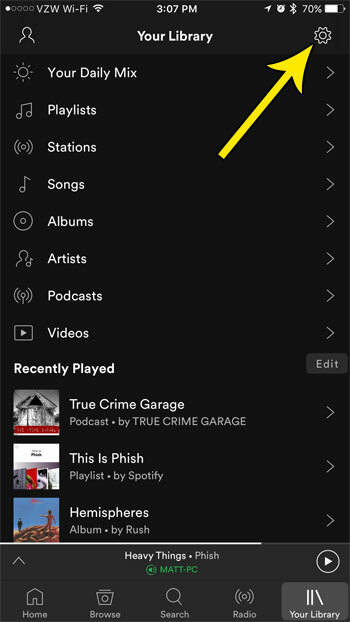 The Spotify app on your iPhone is very robust, and there are a lot of different ways that you can use it to listen to music or other types of audio entertainment. Find out how to add a song to a playlist that you have created so that you can start curating lists of your favorite songs into an enjoyable list that you can listen to.